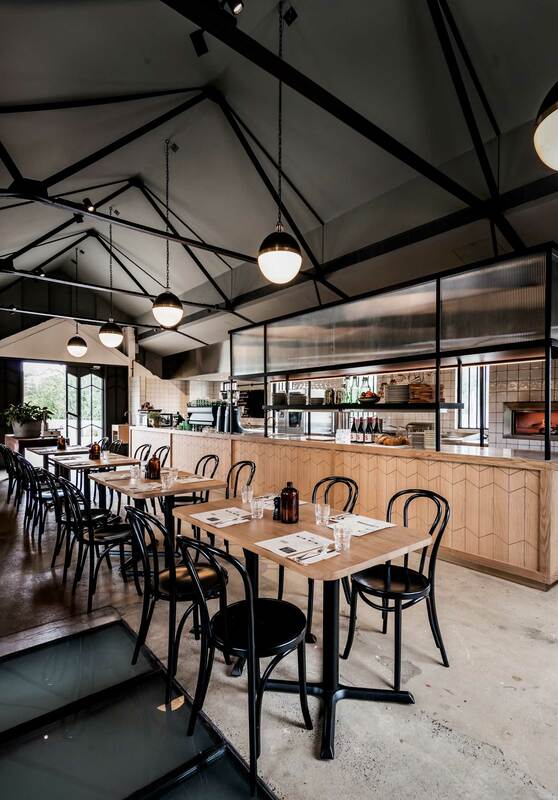 The Incinerator by ACME & Co // Sydney. 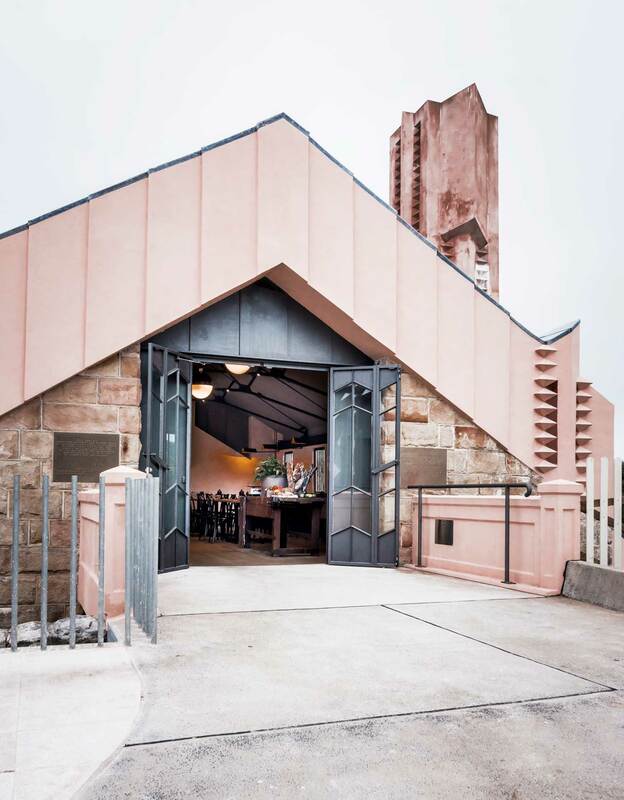 The Incinerator in Sydney’s Willoughby is an extraordinary example of Australian Industrial Heritage designed by Walter Burley Griffin & Eric Milton Nicholls in 1934. 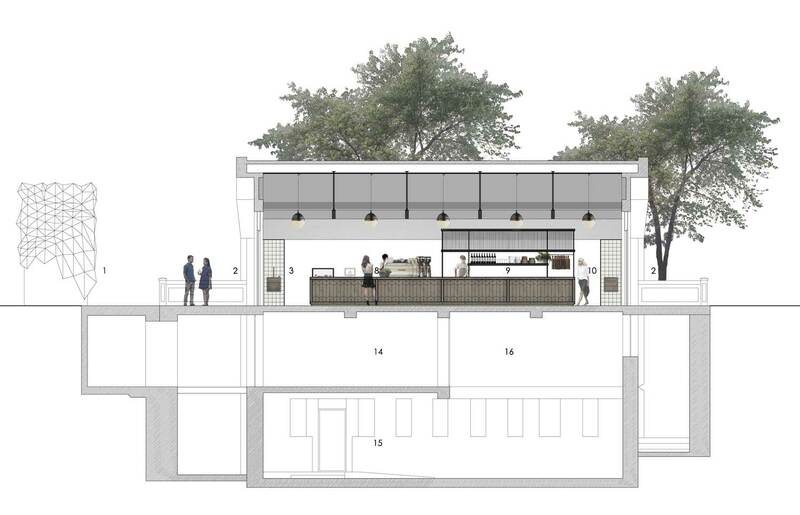 Through adaptive reuse, have transformed the dormant building into a vibrant community café paying homage to its past. Established by architect Vince Alafaci and interior designer Caroline Choker, is a Sydney-based studio that focuses on creating holistic solutions that respond to each client’s commercial objectives and site specific needs. Whilst each of their commission is individual, the studio adopts consistent principles across all of its projects; exploring the fundamentals of environment, sustainability, space, proportion, light and materials. ACME’s attention to detail and process is a response to detailed analysis rather than a stylised overlay. 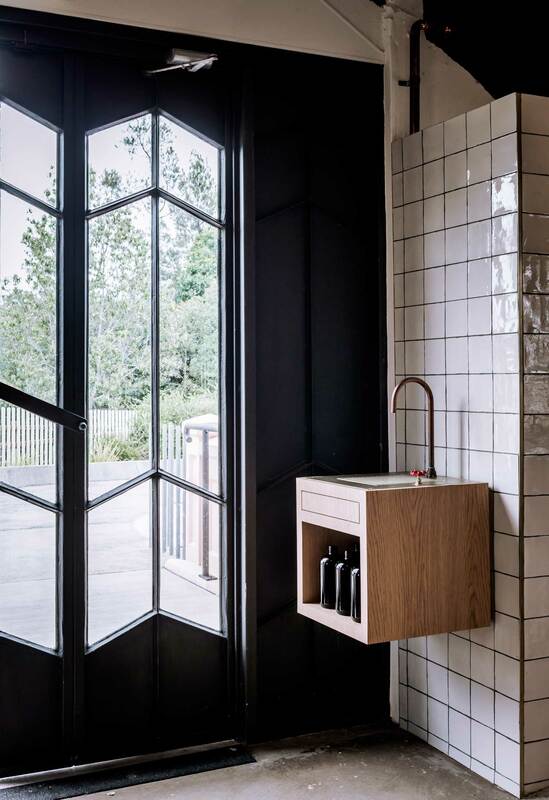 This intelligent approach has won them the Emerging Interior Design Practice at the 2014 Australian Interior Design Awards held in Sydney last week. There’s no doubt this is just the beginning for this clever young practice. Read on for a little Q&A about their experience of creating the The Incinerator. Walter Burley Griffin promoted a modernist approach to architecture, where architecture and landscape are harmonious integrating to their surrounds. 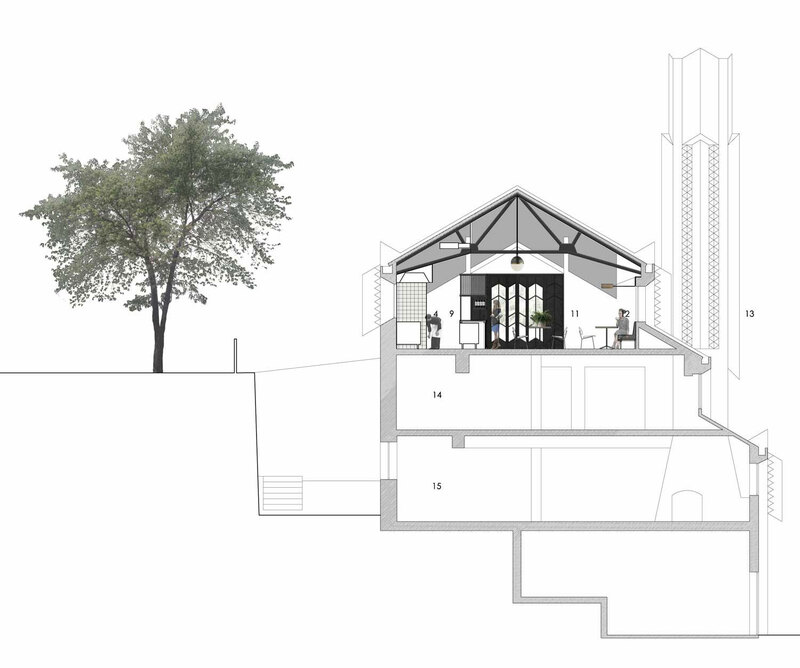 Our inspiration derived from this approach and integrated the proposal with the building whilst retaining its integrity and paying homage to its heritage through the considered use of planning, materials and details. Having the opportunity to be a part of history by reactivating this extraordinary example of Australian Industrial Heritage. It’s exciting to see how the community connect with the project and how this has become a vibrant food destination. Extremely short time frame from conception to execution and budget constraints. We had a client with a strong vision that had trust in our approach. Making sure your clients values are aligned is imperative to creating a successful project. + Would you have done anything differently? No, but would have liked if details lost due to budget cuts were implemented. Video // Milan Design Week 2014 / Triennale Design Museum & Tortona, Presented by Yellowtrace. Gallery Post // Amsterdam Loft by UXUS. This looks beautiful but like 95% of restaurant interiors looks like it has terrible acoustics. Why do people continue to completely ignore this aspect of dining? Enjoying a conversation is so much of what makes dining pleasurable. Not all designers ‘ignore’ this aspect. Open space and high ceilings are not just considered in terms of acoustics though- much more goes into the brief. 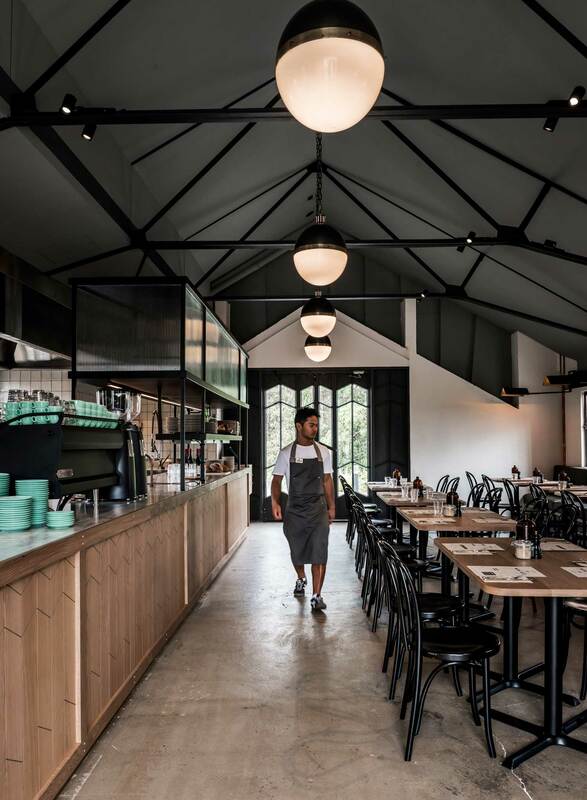 For example Mott_32, Joyce Wang features the custom-built architectural skylight to give diners an impression of daylight in an underground dining setting. Lower ceilings and other features can act as a sound buffer and create atmosphere ideal for conversation, but it could feel claustrophobic, or oppressive- having the opposite effect on conversation and a pleasurable dining experience. The use of shape is absolutely stunning.. Love it!